The need for a compact bailout CCR is at the heart of the Proteus design philosophy. Fortunately, that thinking transfers extremely well to the evolution of the Proteus primary sidemount and primary backmount rebreathers. Proteus is available in both Recreational and Technical configurations. You can build and configure your Proteus rebreather here. With the benefit of continuing exhibition and user development feedback, Proteus continues to evolve as a market game changer. Proteus is smaller – the same diameter as an 80 cu.ft. cylinder and just 500mm (20”) tall. Proteus is also modular –it’s totally scalable, offering an entry level semi-closed circuit rebreather that can easily be upgraded to an exploration grade hybrid dual eCCR. Dive Systems also offers a huge range of custom made parts that have been designed to make your Proteus rebreather diving experience a fulfilling one. Type R (recreational) rebreathers keep things very simple for the diver. 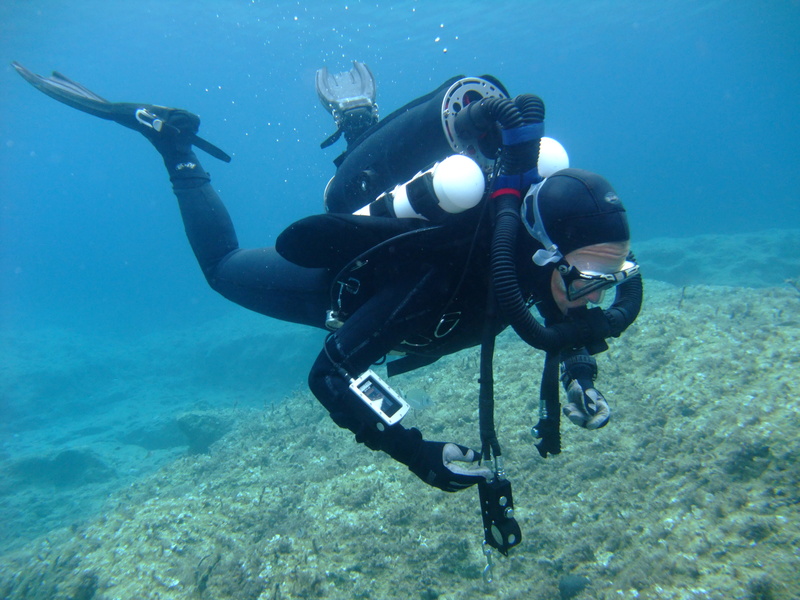 A Recreational rebreather diver is generally limited to a maximum depth of 40m and does not go into decompression. Type R rebreathers do not allow the diver to "fly" the rebreather manually and the diver doesn't carry a bailout cylinder above 21 metres depth because the unit is equipped with a diluent cylinder that has enough capacity (and gas) for the diver to ascend safely to the surface in the event of a problem. For example, if the recreational rebreather controller reports a problem during the dive (for example, high PPO2) the diver must bailout onto the integrated BOV and ascend immediately. Type R rebreathers try to keep things very simple, but for some, having greater control over the rebreather is preferable and for them, there is the Type T (technical) rebreather. Type T (technical) rebreathers will most likely be used by technical divers who may go into decompression during a dive and also be breathing gases other than air and oxygen. Recreational rebreather divers need to complete their Advanced Nitrox course and also the Decompression Procedures course before being certified as a Technical rebreather diver. Type T rebreathers feature many more options that allow the diver to respond to problems without the obligation to bailout to open circuit. For example, Type T rebreathers allow the diver to "flush" the loop, manually add O2 or diluent, connect off-board gases and bailout onto open circuit gases or another redundant rebreather, or bail-in (go back onto the rebreather when the problem has been resolved).